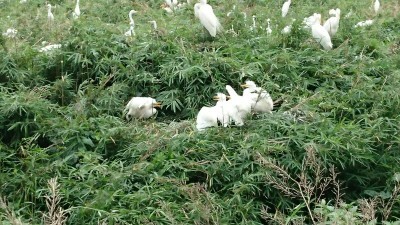 One of my favorite everyday experiences in Tsukuba is catching sight of one or more of this area`s numerous egrets ( SAGI in Japanese)- long-legged and long necked white-plumed wading birds, either stalking their prey in the rice fields or streams or flying elegantly overhead, with their necks tucked in and their long legs trailing behind while their slender wings gracefully propel them across the sky. It is something that I never tire of, no matter how often I see it. 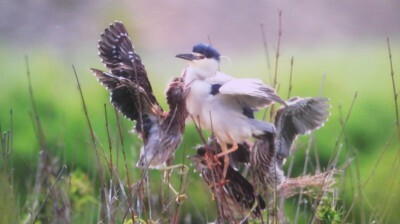 There is another side to experiencing these birds, however, which is far from elegant. It can be intense, noisy, and…….. stinky! 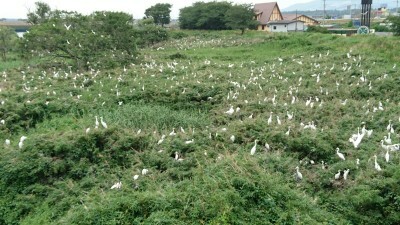 That`s what it is like if you approach these bird`s nesting areas which are called SAGI YAMA ( egret mountains or perhaps egret groves) in Japanese. You see, while these birds spend the day searching for food solo or in small units, they live communally large boisterous groups which include several varieties of similar birds. Gakuen Road (look to the north when you get on the bridge just past the route 6 underpass). I always worry about this particular egret grove in October, as the launching point for the famous and extremely crowded and noisy Tsuchiura Fireworks Competition is just a couple of hundred meters to the south. 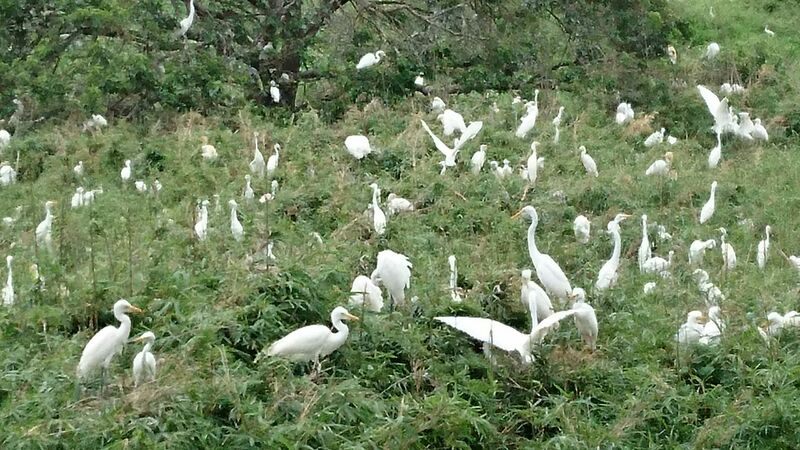 I guess that for that one night, the egrets just have to find another place to sleep. This has NOT been a very good decade for egrets ( or other birds ) in Tsukuba. 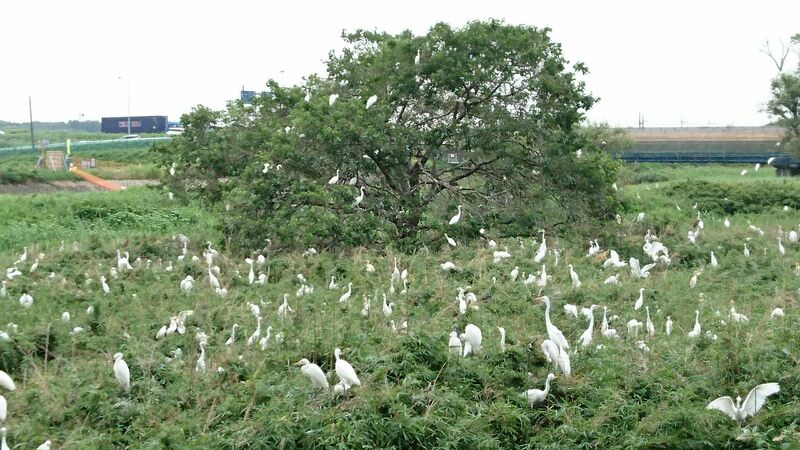 Besides the massive habitat loss coinciding with the local development boom, the population was devastated by the tornado of May 6th 2012 which tore through another of the city’s major egret roosting areas, which was located in Hojo. More than one year later I went to have a longer and closer look at the rookery by the bridge. I crossed over to the Tsuchiura side and then turned off to the left- where the Titanic Pachinko Parlor stands ( the building is actually shaped like a ship) and parked in its parking lot (surrounded by love hotels). The first impression I had when stepping out of the car was the smell- strong and fishy- which I assumed was eminating from what must be the prolific amount of droppings in the area ( which must consist of digested and excreted fish, frog, snail and crayfish). Stepping up to the river embankement was almost frightening with all the noise and activity. 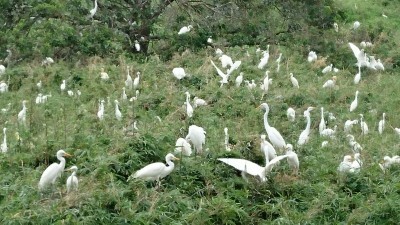 The birds, which are always very shy and difficult to approach, also became uneasy. I immediately decided that I would make it a very brief visit do as not to cause too much of a disturbance. Overwhelmed by the sounds,smells, and energy, my heart was racing and I started to run a sweat. 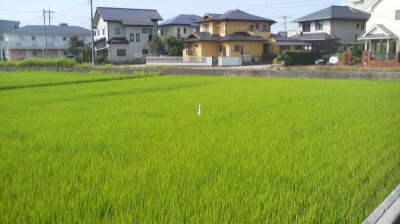 I realized that I was having a hard-core wildlife experience right here in the Tsukuba area. 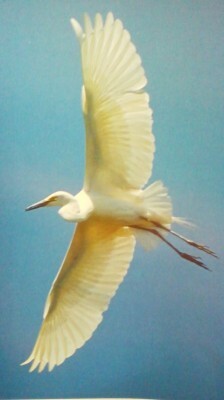 It also made me think of this most elegant of birds ( as I once thought of them) in a very different way!